Our painting trip to the San Juans in the Fall of 2014 was fabulous. 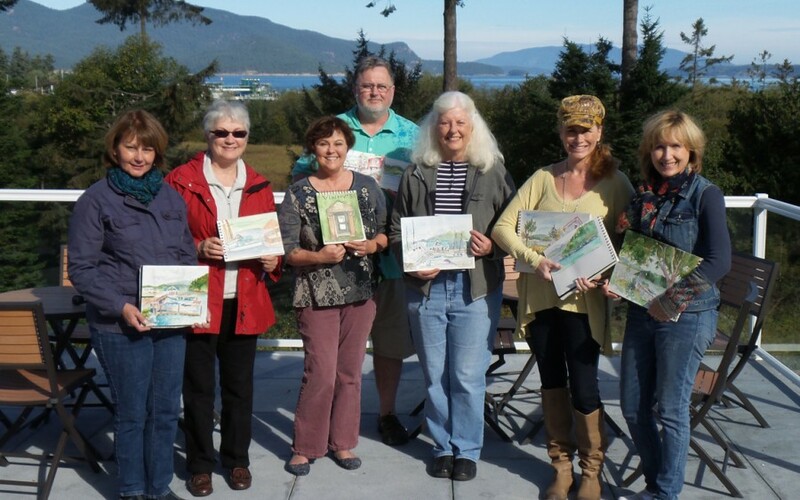 We enjoyed painting in Friday Harbor, at our Hotel overlooking the Ferry Terminal and the San Juans, and in and around La Conner. We look forward to returning.